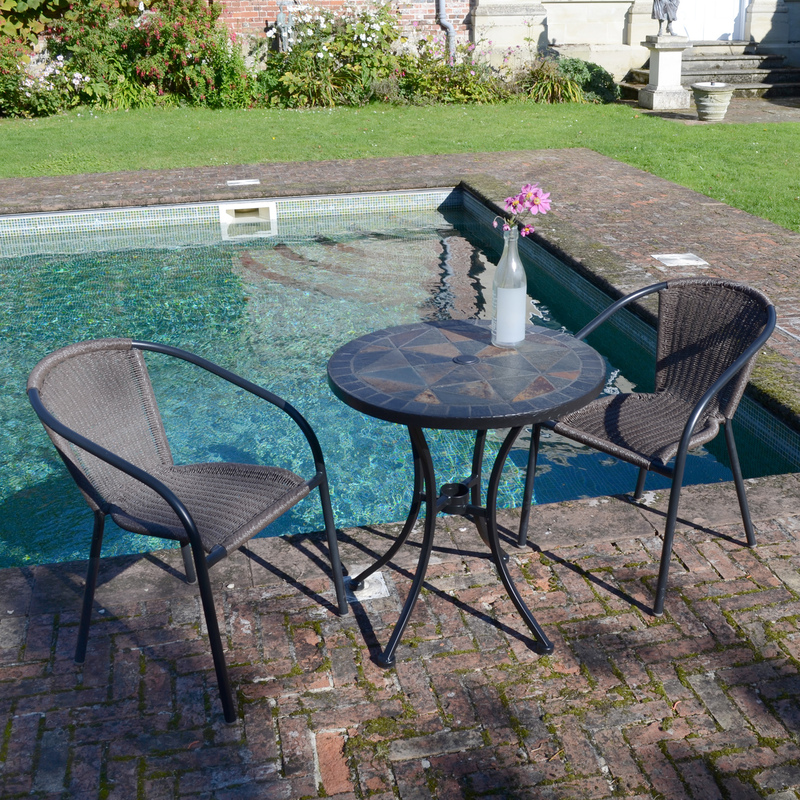 Hand crafted from natural stone the Tobarra table at 70cm is a nice comfortable bistro table, able to accommodate a parasol this natural table looks great in any garden, the San Luca chair is both elegant and comfortable, the chair stacks and has a weather resistant hand woven seat and back. 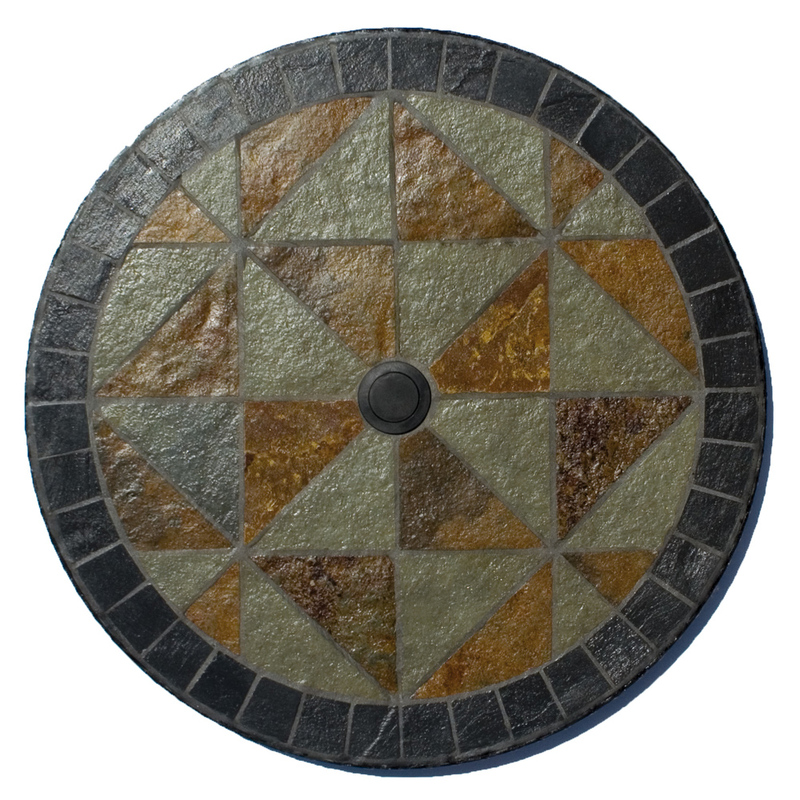 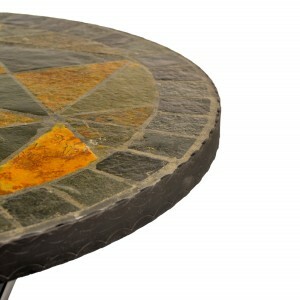 Hand crafted from natural stone and slate, the Tobarra table at 70cms. 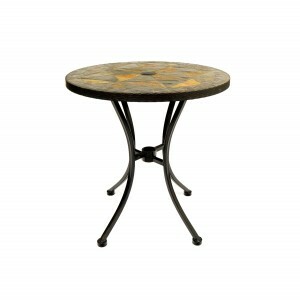 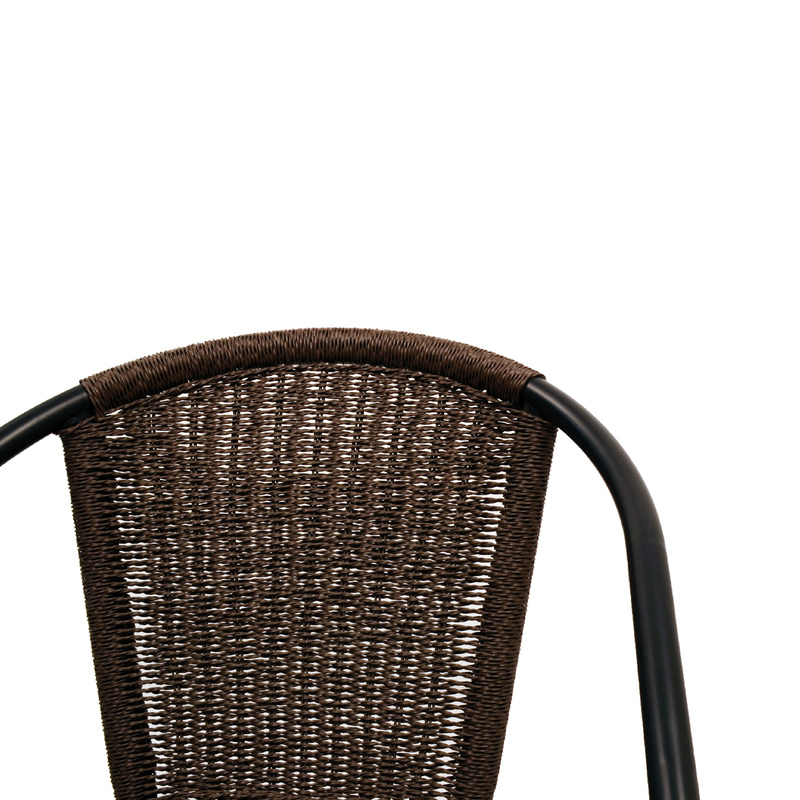 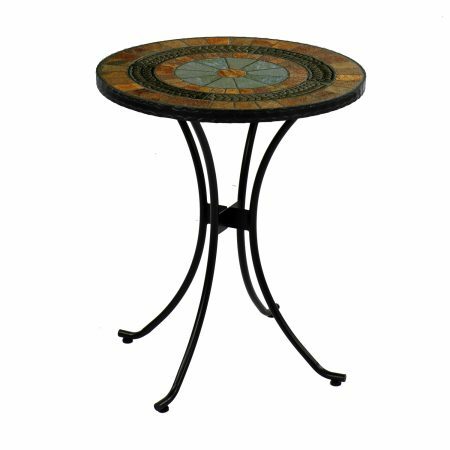 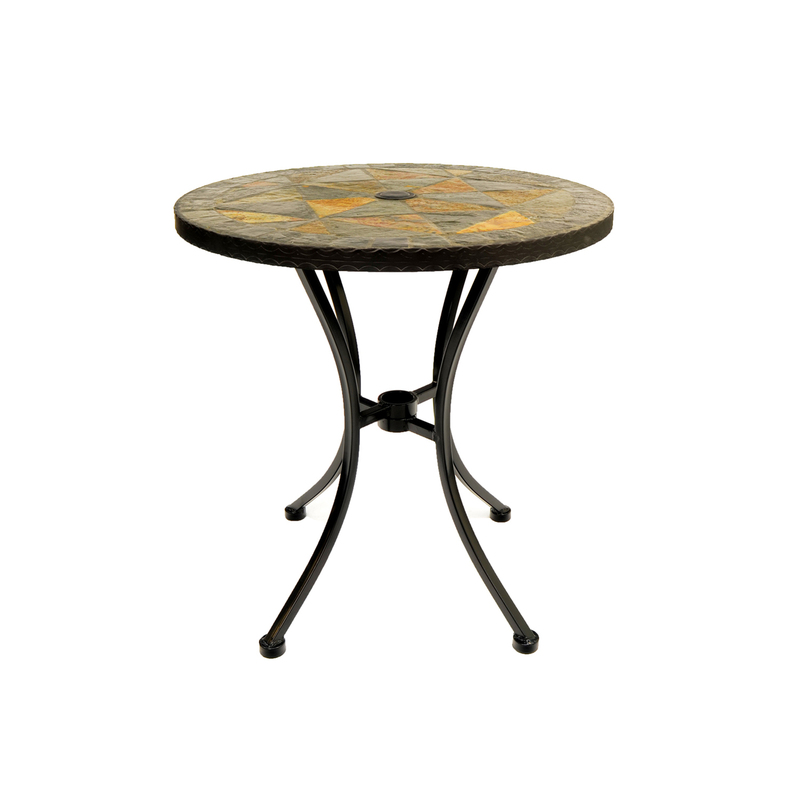 diameter is a nice comfortable size bistro table just that little bigger than the usual 60cms. 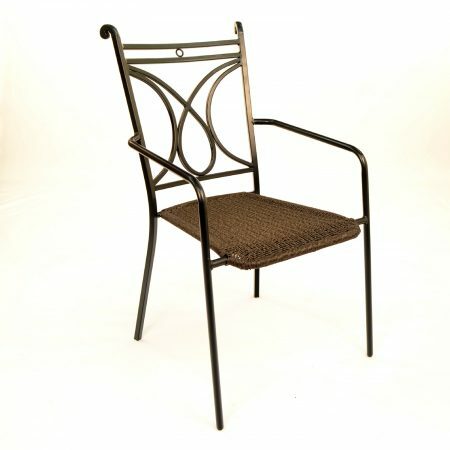 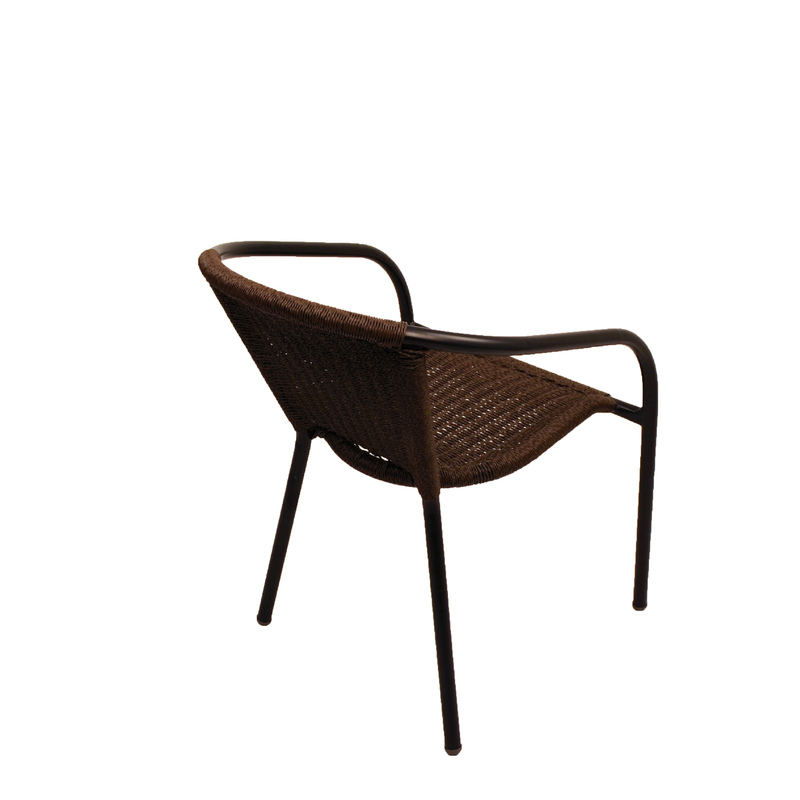 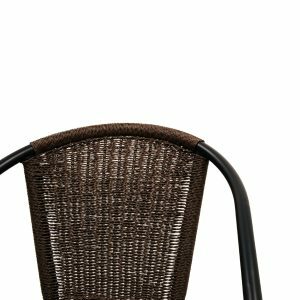 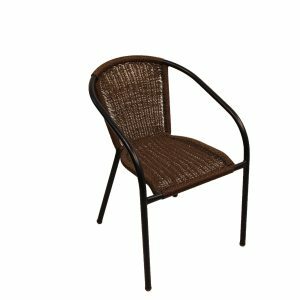 It will even accommodate a parasol, and this table will look great in the garden complemented by a choice of chair styles. 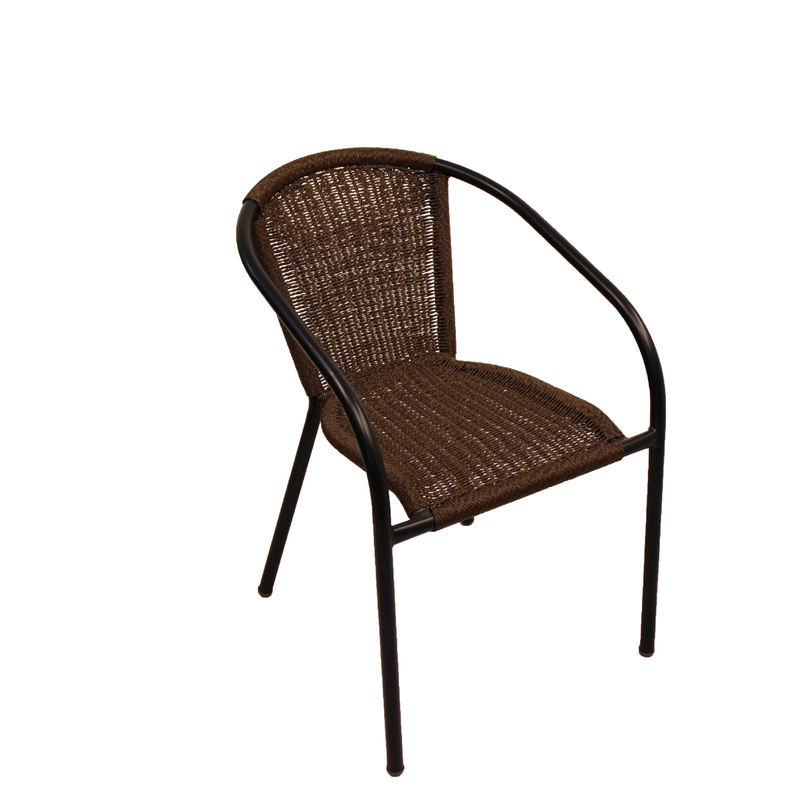 Here we couple it with the Verona chairs which stack and have twisted effect resin weave wicker to the seats which are contoured for extra comfort. 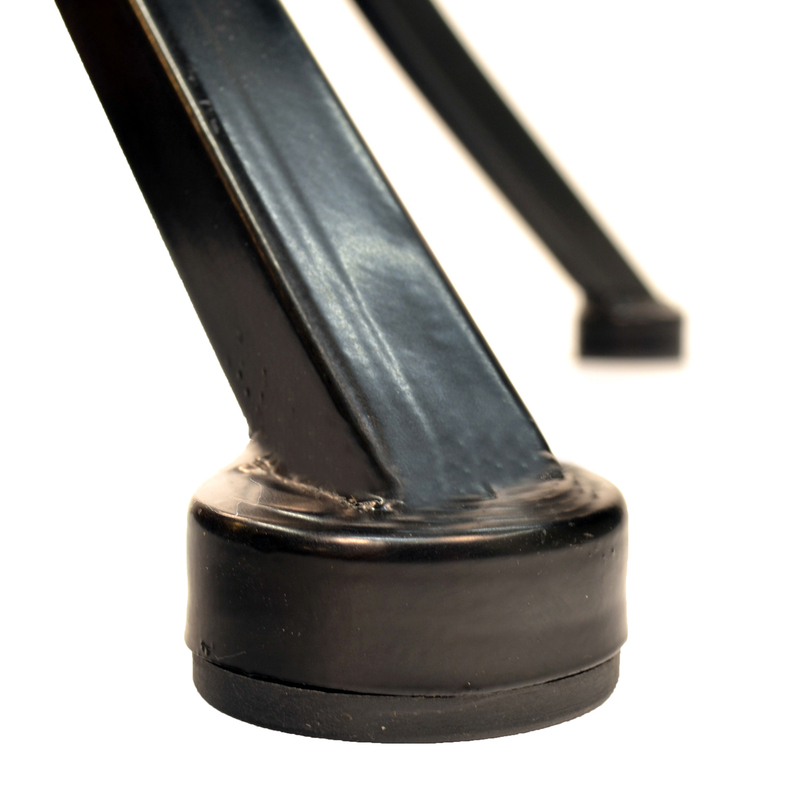 The table legs and chair frames are of steel, powder coated black.